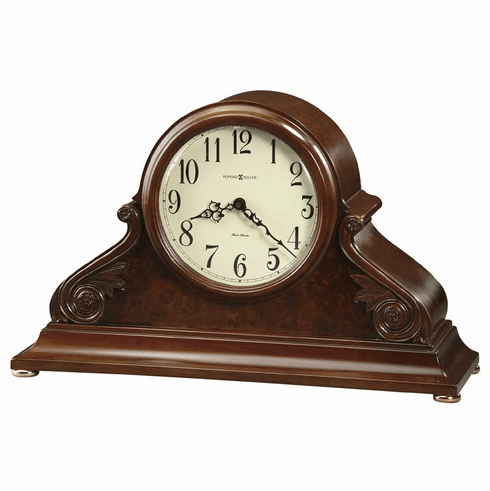 This mantel clock's decorative details include carved leaf and rosette overlays and a burl front panel. A lambswool dial offers black Arabic numerals and black serpentine hands, behind a convex glass crystal. Quartz, triple chime Harmonic movement plays your choice of Westminster, Ave Maria, or Bim Bam chimes, with volume control and automatic nighttime chime shut-off option. Finished in Americana Cherry on select hardwoods and veneers.